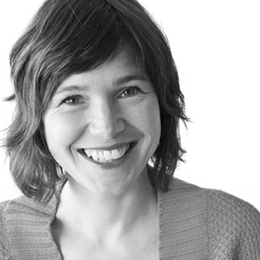 Maaike Evers, IDSA, co-founder of the experimental design studio Mike & Maaike in San Francisco has been named the International Design Excellence Awards Jury Chair for 2019. Born and bred in The Netherlands, Evers brings a progressively Dutch and uniquely female perspective to industrial design, inspired by the tradition of craft and potential of industry. Mike & Maaike was formed as a design laboratory where self-initiated and client projects are approached with the same level of passion and experimentation. Some highlights of her collaborations include Google’s first phone, Google’s first VR headset, the ATNMBL driverless car, the Windowseat Lounge and the Juxtaposed bookshelf. In 2011, Mike & Maaike was acquired by Google where Evers helped build the industrial design culture, collaborating with scientists and engineers to build new hardware experiences for IoT, mobile devices, wearables, health monitoring, autonomous systems, alternative power and VR. Recently, Mike & Maaike gained independence from Google to re-form its San Francisco studio. Evers' work has received over 40 international design awards and she is named on over 50 patents. She was named one of Fast Company’s Most Creative People in Business.